Home > Blog > Happy Valentine's Day! Valentine's Day is here and love is in the air. As flowers are being delivered and cards sent, Kipper Insurance Agency would like to wish you and your family a very Happy Valentine's Day! Times like these, when we cherish and think of our loved ones, is a perfect opportunity to tune into our health. Have you been proactive and practicing healthy habits? It's important to monitor your personal health day in and out. After all, your health not only affects you, but the people around you. That's why we recommend the best health insurance plans around. Whether you visit the doctor once a year or once a week, we have the perfect plan customized for your specific needs. 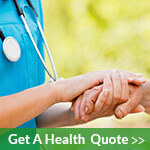 Curious what kind of health insurance plans are out there? If you have more questions or would like to get a quote, call us today at (760)471-2200!